Curious about all things twins? I learned a lot about twins during my pregnancy. Here are 11 twin questions and facts about twins you probably didn’t know. 1. What do “mo/mo,” “mo/di” and “di/di” mean? Mo/di stands for monochorionic/diamniotic and describes twins in separate sacs but share the same placenta. They’re riskier than di/di twins, particularly for “twin to twin transfusion syndrome” (where one twin takes more of the placenta’s nutrients than the other). Mo/mo stands for monochorionic/monoamniotic and describes twins who share both a placenta and a sac. This is the highest-risk type of twins (and the rarest). They’re at risk for cord entanglement (something that mo/di twins avoid) as well as TTTTS. Since I had di/di twins, I didn’t discuss these risks with my doctor. But they’re the most common complications I learned from other moms who had mo/di and mo/mo twins. There may be more complications to look out for. This is where your doctor will help guide you through what those exactly are. Both mo/mo and mo/di twins are almost always identical. The only difference is that mo/di twin cells separate into different sacs. Di/di twins tend to be fraternal and can produce same-gendered twins (like mine) as well as boy/girl combinations. 2. What do fraternal and identical mean? Identical twins began when one sperm fertilized one egg. Those cells then divided, which means that each twin has the same DNA as the other. Fraternal twins began when two sperms fertilized two eggs. Some women, whether through genetics or older age, drop more than one egg each cycle (hence the two eggs). Carrying fraternal twins is like having two siblings growing in the same uterus. For this reason, fraternal twins have different DNA, just as non-twin siblings do. Boy/girl combinations are always fraternal. 3. What is a “singleton”? “Singleton” is the term twin moms call pregnancies or kids who are not multiples. I never even knew the term until I entered the world of twins. 4. How much weight do twin moms need to gain? I was expected to gain between 37 to 51 pounds for a twin pregnancy. I barely scraped by at 35. And my doctor advised me to aim for 24 pounds by 24 weeks. This formula came about because those first 24 weeks were crucial for the twins to gain that weight. It’s difficult to gain weight with how small our stomachs will get after that point. 5. How much sooner are twins born compared to singletons? Over half of twin pregnancies will be born prematurely (earlier than 37 weeks). The average twin pregnancy delivers at 36 weeks*. And while full-term for a singleton baby is 40 weeks, twins are considered full-term at 38 weeks. 6. Do all twins need to stay in the NICU? Even though my twins were born prematurely, we took them home with us. They passed the tests, from weight to eating to breathing to regulating their temperature. We went home with them after three days. 7. Can twins be born vaginally? Yes—that’s how I delivered mine. Depending on your doctor, you might want to discuss the requirements for delivering vaginally. My doctor listed a few, such as both babies needed to be head down and the first baby needed to be larger than the second. It also helped that my twins didn’t share a placenta, which would likely need a C-section. Talk to you doctor, though. I know other moms who delivered vaginally even when the second baby was breech or sideways. It’s still likely though that you’ll deliver in the operating room. The hospital has this practice just in case any complications happened. There would then be no need to wheel me from a private room to the operating room. 8. Who will be present during a twin delivery? C-section or vaginal, your delivery room will likely be filled with doctors galore. With my singleton pregnancy only four people were with me (my mom, my husband, my doctor and a nurse). But my twin pregnancy included about 16 people in the room. This included my doctor, a resident doctor, two nurses, an anesthesiologist, and a slew of NICU pediatricians for each baby. 9. 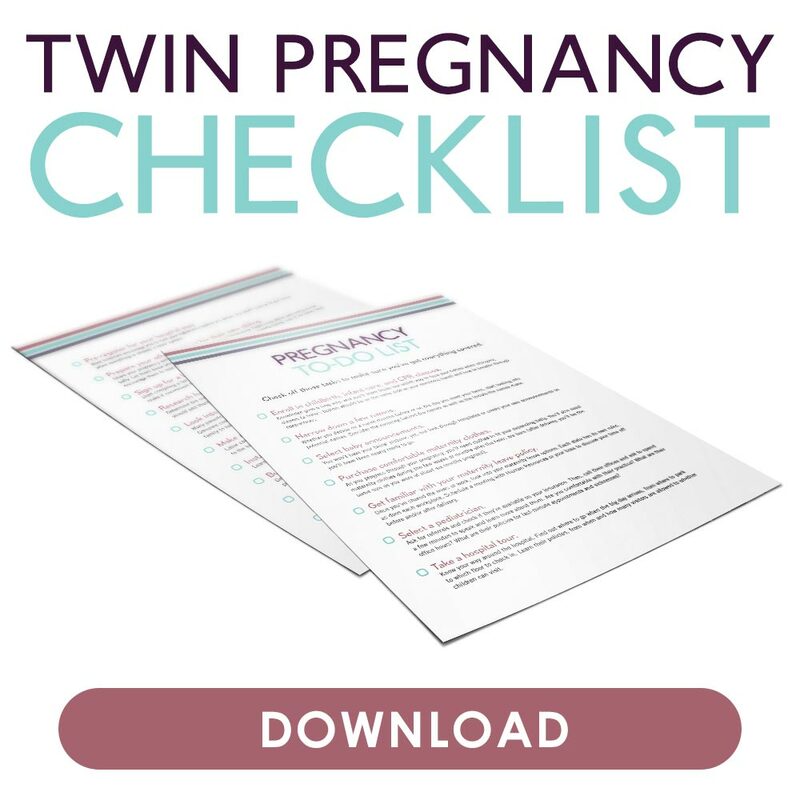 How can I have a healthy twin pregnancy? There’s no formula that will guarantee you against bed rest, pre-eclampsia, or other complications. Still, best practices can help you improve your chances. One thing I would do all over again is my diet. I had a terrible first trimester, causing me to gain a measly two pounds those first two weeks. Given that I had only a few more weeks to reach my goal of 24 pounds, I ate like a pig. I’m talking smoothies, burgers, spoonfuls of Nutella. Really gross unhealthy stuff. And while I gained the weight, I also brought on more complications and sluggishness. So my advice is to stick to healthy food. It’s not easy eating all that food, so consider buying a juicer or making smoothies. You’re able to sidestep all that chewing by blending it up and downing it one easy to drink meal. Or eat high-calorie healthy food, such as eggs, avocados and sweet potatoes. Fortify your smoothies with protein powder. Choose the right food. I would also advise on getting tons of rest. Now isn’t the time to push yourself or bust out those maternity exercise tapes. Exercise should be light, if you even exercise at all. Lying down also prevents the weight from bearing down on your cervix. It’s easy to assume that resting means you’re not doing anything. That’s far from the truth! As you rest, you’re devoting your energy to creating your babies. On the surface you’re not breaking a sweat but your body is just as consumed with being pregnant as if you were out and about. Improve your chances of having a healthy pregnancy. 10. How many twins are there compared to singletons? 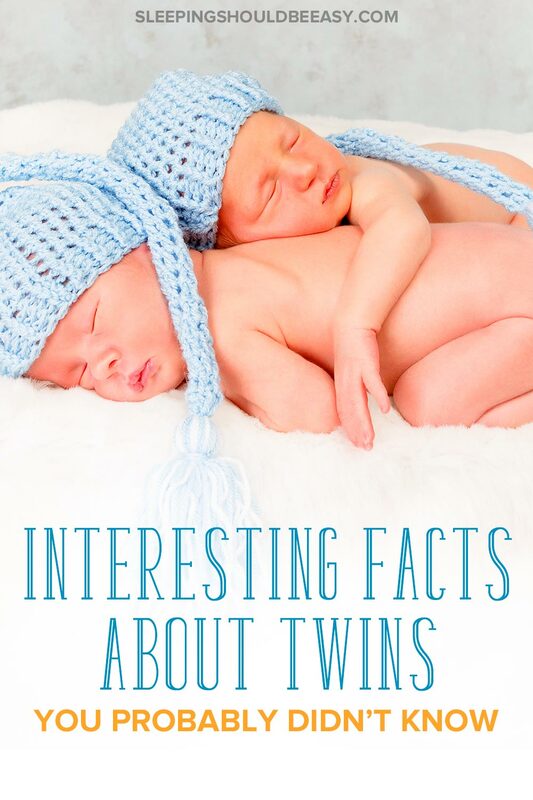 According to Baby Center, twins now account for 3 of every 100 births in the United States. This has risen in the last few decades by 76%, mostly because more women are using fertility drugs to become pregnant, which increases the chances of carrying more than one. Also, women are waiting to have children and are therefore have bodies more likely to release more than one egg. 11. Is it normal to feel scared about having twins? You may have a difficult time accepting the news about the twins. Maybe it wasn’t part of your “plans.” Your feelings are normal and you’re not alone. Rest assured, you’re part of a select group of people now. I have an instant bond with other parents of twins (or even people who are twins). You’ll feel challenged, but you’ll also emerge so much prouder of yourself about all you can do. From carrying twins to caring for them alone, these are the little wins that will make you stronger. So be kind to yourself. Your situation is unique. You can’t apply the same standards you may have had of parenting a singleton to twins. This pregnancy is temporary. Whatever hardships come—especially in the newborn stage—will end. You won’t shuffle your attention from one baby to the next once they can entertain themselves. They won’t always tandem feed. And you’ll carry one baby while the other one walks behind you instead of the fragile babies they once were. If pep talks don’t work, one thing that always did was searching through online videos for cute twins. Now that my twins are over a year old, they do those cute things you see twins do. The laughing at each other, the copying one another, and all the stuff that makes it so much fun. Watching these cute twins reminded me that they have their fun moments too. Get more tips about what to do when you’re finding it hard raising twins. Welcome to the world of twins! Since becoming a twin mom, I’ve entered a world I previously could only glance at from the surface. I’ve learned a ton of facts about twins. Over a year in, and I’m so happy to be part of this community. Raising twins is tough business. 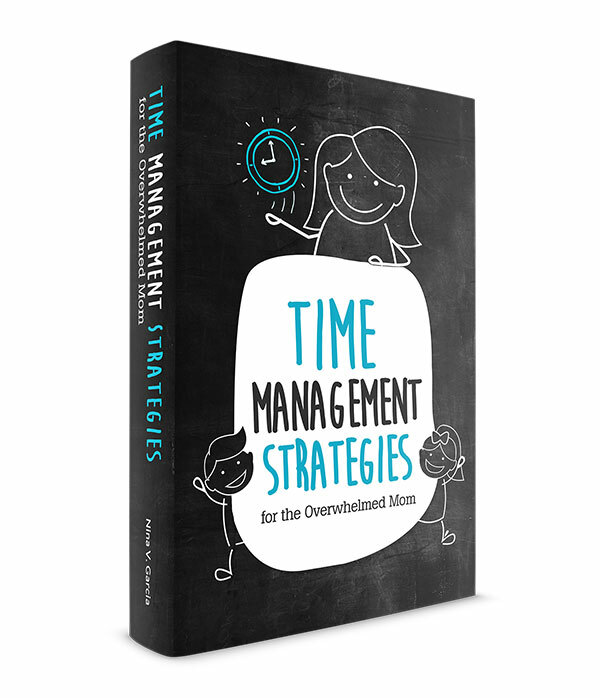 You’ll learn so many nuances you never knew about, and a whole new system of managing your kids. But in time all the lingo will sound familiar. You’ll have figured out how to bathe both at the same time in the big tub, and the art of burping two babies. All these facts about twins will become second nature. Yes, you’ll get double the love and double the blessings. And all the other well-meaning platitudes that in the end, are absolutely true. Your turn: Do you have additional twin questions? What were interesting facts about twins you learned? Let me know in the comments! This post would definitely help me if I found out I was expecting twins. Great post as always, Nina! Wow! I had some basics of twins but not all of this. I have to admit that I’m glad I didn’t have them. I don’t think my 4’10” body could take it. 🙂 Twins have run in our family in the past but we haven’t had in the last couple of generations. Oh wow Carla you look so much taller in your pics! 🙂 I’m shortish-average at 5’4″ and yeah, it was tough on the body for sure. I swear it felt like every bone was breaking and I could barely walk to the dining room. So glad to hear that your VBAC was a success, Vanessa! I have a friend who is considering that as well. I haven’t had a C-section but I’ve heard different stories: some say it was a breeze, others say it was complicated. I tend to think that C-section is more dangerous simply because it’s a big surgery, whereas vaginal isn’t. Of course complications can arise with either, but I would think surgeries would carry more complications (hence all the precautions they take with C-section mamas). 1. Before starting this comment, I asked my 13-year-old what it would be like to have a twin. She’s pretty solitary, so I wondered if would mean she’d have an all-the-time pal, or they’d both be lone wolves! 2. Twins skip a generation, right? If that’s the case, maybe one of my girls will have twins. 3. Having twins of any of my three girls would come in particularly handy for filling out a soccer roster. Eli I wish I could say twins skip a generation but my husband’s family has four sets of twins, two sets of cousins, then two sets (including mine) of the next generation. I learned so much and I don’t have twins nor am I expecting them! The most interesting part was the difference in care- delivering in an operating room with a slew of staff ready for the babies? Wow! That is something very special. My dad is a twin and even though there is no genetic evidence that twins are hereditary, I secretly hope that I would get a two for one special too…even though the work must be insurmountable. Rebecca I heard that having fraternal twins is hereditary while having identical isn’t. Then there are all these theories about it passing only through the mom’s side. I’m actually not sure what the deal is myself either lol. And yes it’s kind of nuts the number of people who are present during a twin delivery! I guess they need to have their bases covered in case anything goes wrong. Thank you for these honest thoughts and sharing your experience and true emotions. I’m 19 weeks pregnant with twins. I have 3 girls already and thought that we were done having kids, but God is always full of surprises! It really helps to hear about what other moms are going through and how they deal with the constant emotional roller coaster of pregnancy. Congratulations, Sandra! You’re nearly halfway there. Keep us posted. Di/Di twins can also be identical twins, it’s slightly less likely but is possible. In the first three days, the egg can separate and produce identical twins that are Di/Di. In this article (which is great, by the way!) you state that Di/Di twins are always fraternal, which is incorrect. This was very interesting to me as I didn’t have twins. I love that you answered the question about maybe feeling down about having twins. I bet most mothers-to-be are afraid to even say that, but I can see that it could be a bit scary. It was tough to admit, but accepting it is better than trying to deny it, for sure. I wish I had read this 6 years ago when I was pregnant with my twins. I had my boys by c-section at 36 weeks. To this day I still do not know if they are identical or fraternal. I’m too cheap to pay for a test but my guess would be indentical. Glad you find them useful, Randika! Although this was posted quite a while ago, it’s cheered me up a little. I found out am having twins…my first pregnancy. My dad was a twin so the family is extremely excited and my husband is elated. Me….I’m just rather petrified! I will keep reading all your past blog posts and hopefully begin to feel more at ease! Thank you! Hi there. I came upon your pin as I was browsing and had to read it as I am also a mother of Fraternal Twin boys. Having twins now is so different to when I delivered my sons naturally 41 years ago on Christmas Day 1975. Back then there were no scans and the only way they could tell if you were having twins was if you were larger than what you should have been around the 36 week mark when they would do an xray to see if there was more than one . I fell pregnant while I was ill with a gastric upset. I was taking my birth control pill religiously but guess what… My eldest son was was about 13 months old at the time and had not been the ideal baby, having had serious colic and non sleeping issues and I had post natal depression and I had no intention of having another child until he was at least 3. Best laid plans…. To cut a long story short. My due date which originally was mid March kept being advanced because I was bigger than I was supposed to be and that I wasn’t sure of when I fell pregnant because I was still taking the pill when I conceived. I had severe backache which the obgyn put down to a soft mattress. I thought to myself that if I was having twins I would spit in his eye. My revised due date according to him was supposed to be January 1, 1976. When I started having the odd pain on Christmas Eve I wasn’t surprised and relieved that I was only a week early this time as Mike was 4 weeks early due to pre eclampsia. Back then going into hospital to have a baby was more dramatic than it is today. You were given an enema and shaved (very embarrassing) and then laid there in your little short gown waiting for something to happen. I went into full labour after induction around 10.45am and as my supposedly 9 lb baby was being delivered the doctor exclaimed “hang on with the needle, there’s another one” to which I leaned up over my knees and told him to put my knees together, I’m going home. Daniel was 4lb 1/2oz at 11.26am and Robert was 4lb 1oz at 11.35 am and estimated to be at least 8 weeks premature. Surprise, Dan’s grapefruit sized head was definitely not the size of a 9 pounder. Life was interesting for a while. 3 children under 3 all in nappies and having bottles and the nappies were cloth ones. My diaper pail was a large plastic bin and as I was advised not to breast feed it was 16 glass bottles a day to sterilize and refill. People would say how lucky I was and that they would love twins. I thought to myself that I would leave them with my three for a couple of their waking hours and then see how interested they would be. I survived or rather we survived. My Mum always said that I must have wished it on myself as I always had to have two of everything. Silly me….. Your article was very interesting and I’m glad I dropped by. Helen I LOVED reading your story! Wow, what a whirlwind. I hear from my mom how different it was to give birth back then. I also had a former coworker who is a twin, and his mom’s doctor determined she was having twins by listening with a stethoscope for heartbeats! And it’s interesting to hear how they advised not to breastfeed whereas now all the doctors recommend it. I totally know what you mean about people saying they’d love to have twins lol. I’m pretty honest with them about it, though in a laughing way. It’s not an “ideal” pregnancy because it’s just so much harder this way, but I can’t imagine not having my twins now that they’re here 🙂 And yes, I’d love to have them care for my three little ones especially in the newborn days and say that again haha! Mo/di and Mo/mo twins are from one egg – meaning they are going to be identical twins. There is a rare occasion that one will have Turners Syndrome which could produce b/g twins. But, one fertilized egg that splits – means identical twins.